Subscribe to the Rother Valley Optics newsletter for astronomy news, latest products, special offers and so much more! 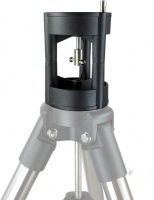 The brand new Rother Valley Optics EQMOD direct adaptor to suit the popular Skywatcher AZ-GTi mounts. 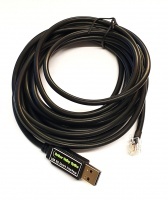 This amazing adaptor allows you to control your AZ-GTi mount directly from a laptop or PC. A nice small, compact and lightweight guidescope kit put together by RVO. The Skywatcher 9x50 straight finderscope makes the ideal small guidescope due to it's 50mm aperture and fully adjustable bracket. The RVO mini vixen style clamp is the ultimate mounting solution. 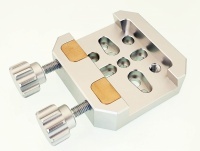 Featuring high quality clamps with blocks, multiple countersunk mounting holes, and large hand knobs, this is one of the best clamps on the market. Built with a dielectric hard-coated BK-7 glass mirror, the diagonal transmits more than 99% of the incoming light to ensure clear and bright high-contrast images while maintaining maximum resolution. Designed to be lightweight and durable, the diagonal features an aluminum housing with a black anodized finish. The new ZEQ25/CEM25 mini pier. Die casting and machined metal. Perfect for adding distance between your scope and tripod on the iOptron ZEQ25/CEM25 mount. It also work for SkyGuide and field tripod #3501. With a wide field of view and low-profile aperture, the iOptron 6x30mm Finderscope is an ideal finder for star-hopping navigation that won't add excessive weight or bulk to your OTA. 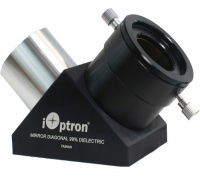 The iOptron 8x50mm Finderscope is an ideal finder for deep-sky observers who need additional magnification and aperture to be able to detect smaller and dimmer objects outside our solar system like binary stars, nebulae, or galaxies. The new 8-inch tall ZEQ25/CEM25 mini pier. Die casting and machined metal. 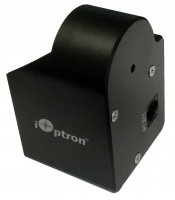 Perfect for adding distance between your scope and tripod on the iOptron ZEQ25/CEM25 mount. It also work for SkyGuide and field tripod #3501. This Hard Case for CEM25/ZEQ25 mount protects your mount whether you're heading out for a night of observation, or when you need to store it. The case features custom-fit foam padding to hold the mount in place and cushion it from impacts. 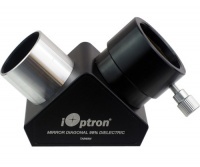 Introducing iOptron iPolarTM - a high precision, easy to use electronics polarscope (e-PS). High precision and no need to physically see the pole star to obtain an accurate polar alignment. The Photon™ line of Ritchey-Cretien astrograph telescope has been expanded with the addition of four new truss tube models (10,12,14 and 16 inch). Designed for today's astro imager, Photron™ truss tube RC telescopes deliver a sharp clear image from one edge to the other. The iOptron® Photron™ Ritchey-Chrétien design telescopes feature low thermal expansion quartz primary and secondary mirrors with ninety-nine percent reflective dietetic coatings. The RC optical design delivers coma, spherical and chromatic aberration free results, perfect for color or monochrome imaging. The iOptron® Photron™ Ritchey-Cretien design telescopes, feature low thermal expansion quartz primary and secondary mirrors with ninety-nine percent reflective dietetic coatings. The RC optical design delivers coma, spherical and chromatic aberration free results, perfect for color or monochrome imaging. 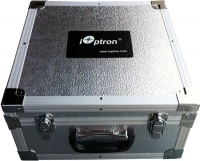 iOptron AccuAlign illuminated polar scop suits various different mounts including the CEM60, SkyTracker and SkyGuider systems. 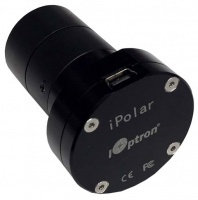 A great addition for accurate polar alignment to ensure precise tracking. Bright field illuminated polar scope designed for the SmartEQ portable equatorial mount. 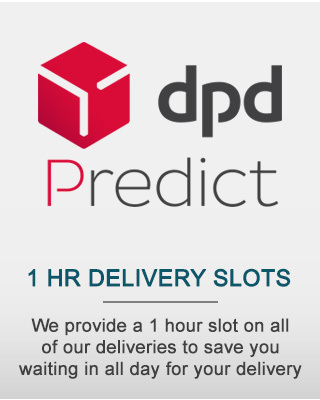 Upgraded from SkyTrackerTM, the Pro is more compact, small enough to fit on your palm, better precision, silent tracking, it even has a built-in rechargeable power source that runs for up to 24 hours of continuous operation. 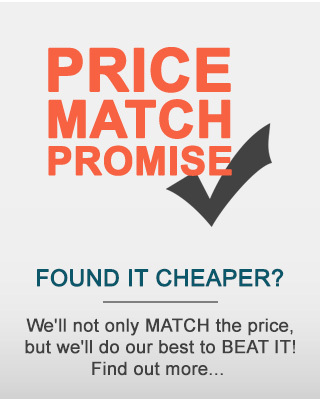 The best place for a wide range of Astronomical Telescopes, Binoculars, Spotting Scopes & Accessories. We stock a huge range of telescopes, binoculars and accessories from leading manufacturers such as Takahashi, William Optics, Paramount, Geoptik, Losmandy, Explore Scientific, Bresser, Celestron, Skywatcher, Meade, Baader, Telrad, JMI, Seymour Solar, Moonlite, Astronomik and many more! One of the largest displays of Astronomy equipment in the North. Come and see our large showroom with lots of stock on display. Please use our easy to navigate side menu to browse through our site and keep checking back for new products and specials which can be found below. 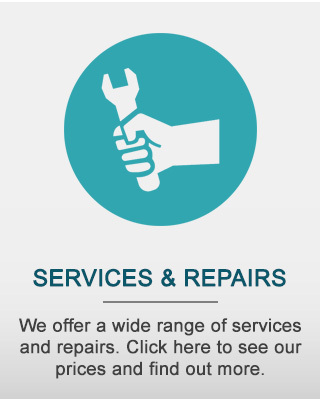 If you have any queries, please call us or send us an email.